You know the feeling. You go to zip up your favorite pair of pants, and the zipper will only go up halfway. Or worse, a distant relative you haven’t seen in years takes one look at your belly and asks when you’re going to have the baby. And once again, you find yourself wondering how to lose belly fat fast. Everybody wants to reduce their stomach fat. In fact, doctors say that more than 50% of American adults are carrying dangerous and unattractive amounts of stomach fat around their waistlines. Even among the other half of the population, many people are dissatisfied with all of their unwanted abdominal fat. So what is the secret to reducing belly fat once and for all? You need to attack your belly fat from three different directions, by making changes to your diet, exercise routine and lifestyle. Maybe in the past you’ve tried changing what you eat or how you exercise, and you didn’t get the results you want. That’s because in order to lose belly fat fast, and to keep the belly fat off forever, you need to make comprehensive changes in all three areas. When you implement proper diet, exercise and lifestyle habits at the same time, you’ll speed up your rate of fat loss. Seeing these positive changes happen so quickly helps keep you motivated to maintain your new healthy practices in the long term. Read on to see exactly how you can get the flat stomach that you’ve always wanted. There’s a famous saying that “abs are made in the kitchen”. In fact, many experts think that the size of your stomach is about 80% dependent on your eating habits, and only 20% dependent on your exercise routine. This means that the easiest way to get rid of belly fat is to make some simple changes to your food and drink. To lose belly fat fast, it’s essential that you eat the right quantities of the right foods. The #1 Most Important Thing! Your stomach already is holding on to unused energy in the form of belly fat. When you carefully count calories and make sure that you’re eating fewer calories than you burn each day, your body will start to get its energy from the fat that it’s been storing on your belly and then the fat will begin to melt away. In general, if you eat 500 calories less than you use up each day, you’ll lose about one pound of fat each week, much of which will come from your abdomen. Increase your calorie deficit to 1000 calories per day, and you’ll lose almost ten pounds of fat every month! To figure out the right amount of calories you should eat to speed up your weight loss, use an online calculator or talk to your doctor (on average, most doctors will recommend that women who want to lose belly fat should eat about 1500 calories per day, while men should aim for about 1800). One recent study found that people who ate at least ten grams of soluble fiber (the fat-fighting type of fiber) every day gained less belly fat than people who ate a low-fiber diet. When you’re planning your meals for the day, look for ways to incorporate high-fiber foods like beans, lentils, whole grains, leafy green vegetables and flax seeds. In 2012, researchers noted an inverse relationship between protein consumption and abdominal fat. In other words, people who ate more protein had less belly fat. You can experience the benefits of protein for yourself by incorporating lean proteins like egg whites, fat-free Greek yogurt, skinless poultry, lean ground beef, skim milk and tofu into every meal. Including some healthy, low glycemic index carbohydrates in your daily diet is essential to reducing stomach fat. These carbs will keep you feeling full (so you won’t feel the urge to snack on fatty foods), help balance hormone levels, and keep your blood sugar levels in check. The best slow-burning carbs include steel-cut oats, brown basmati rice, stone fruits and vegetables like bell peppers, cabbage, mushrooms and cauliflower. Scientists working with monkeys recently discovered that trans fats (often written as “partially hydrogenated oils” on food labels) caused their subjects to gain significantly more stomach fat than equal quantities of healthier monounsaturated fats. To fight belly fat, choose healthy fats like coconut oil, olive oil, avocado and nuts, and try reducing the amount of these oils that you use. Sugary foods are harmful for two reasons. First, sugar consumption is directly linked to increased visceral fat, which is the type that accumulates around your abdominal organs. Second, eating too much sugar is shown to damage your metabolism, causing you to burn fewer calories throughout your overall day. If you want to reduce your abdominal fat, you’ll need to put down those cakes, cookies and candies (sorry!). When you eat too much salt, your body tries to compensate by holding onto water in the abdominal area. This can create the illusion of even more belly fat than you already have! Limit your overall salt intake to less than 2,000 milligrams each day, and you should see an immediate reduction in any sneaky stomach bloating. Japanese researchers discovered something interesting about your favorite salad dressings. It turns out that people who consume one or two tablespoons of vinegar each day accumulate less fat in their abdomens than people who don’t eat vinegar at all. Leave creamy salad dressings on the shelf and use a balsamic vinegar or apple cider vinegar on your salad. When you consume alcohol, your liver has to focus on safely eliminating the alcohol from your body, instead of being able to focus on burning body fat. The best way to lose stomach fat is to totally eliminate alcohol, but if you really want a drink choose one with less sugar (for example, a glass of red wine or a vodka-soda on the rocks is a better choice than a Long Island Iced Tea). New research shows that drinking too much caffeine can cause a spike in certain hormones that lead to abdominal weight gain. Plus, many of the most popular coffee-based drinks are full of unhealthy sugars and fats. Try starting your day with a glass of detoxifying hot water with fresh lemon juice, and sip on peppermint or chamomile tea if you crave a warm drink throughout the day. Just like too much salt can cause water retention, too many carbonated beverages can cause your belly to fill with air and puff out, giving it a fatty appearance. Of course, most fizzy drinks are also full of sugar, which makes them doubly bad! While you’re working towards your ideal body, skip the fizzy drinks and choose still water instead. Once you’ve started eating the right amount of the right food, your body will start to shed its belly fat. You can speed up your rate of fat loss by adding the right type and right amount of exercise to your schedule. Exercise helps you burn more calories, which in turn helps you burn abdominal fat. Even better, there are specific types of exercise that can help sculpt your body and flatten your abdominal area quickly. Personal trainers agree that the best kind of exercise for reducing belly fat is cardio. Specifically, you want to do a mix of medium-intensity cardio, like cycling, jogging and swimming, and high-intensity interval training (HIIT). In HIIT, you alternate working out as hard as physically possible with taking short rest breaks. The high-intensity part of your workout could be sprinting, doing burpees or even jumping jacks, while your rest breaks should involve gentle movement like walking at a comfortable pace. HIIT has been found to effectively reduce stomach fat by keeping your metabolism working at high speed even after the workout is over. In 2015, researches confirmed what active people had always known: exercising more often leads to significantly more fat loss. They found that women who worked out 300 minutes each week (one hour a day, five days a week) lost more body fat and abdominal fat than women who only exercised for thirty minutes each day. If you’re serious about losing belly fat, you’ll want to incorporate at least one hour of heart-pumping exercise for five days each week. On the two other days, choose a low-intensity workout like a walk in the park or a gentle yoga class. When you do crunches or sit-ups, you build up the abdominal muscles that are currently sitting underneath a layer of belly fat. Think about that for a minute… do you really want to increase the size of the layer beneath your fat? It will just make your fat protrude even more. While you are burning off your belly fat, focus your exercise efforts on cardio and very specific weight training activities. Once you’ve shed the fat, then you can start building up your six-pack. Personal trainers recommend that strength trainers focus on moves that work the largest muscles, or multiple muscle groups, if they want to reduce abdominal fat. When you focus on small muscles, like the triceps or calves, you only burn a few calories. Exercises that engage larger muscle groups, like your thighs, glutes and chest, and moves that engage several muscle groups, like deadlifts and squats, can almost double the number of calories you burn while you lift. By building up other muscles on your body, you can create an optical illusion that makes your belly fat appear to disappear (plus, you’ll be burning calories!). Doing exercises to build your chest and shoulder muscles will make your waist look small in comparison. Adding weighted lunges and squats to your routine will help build your backside, making your stomach look relatively smaller. After all, a belly is in the eye of its beholder! Without question, diet and exercise are the most important elements of abdominal fat loss. That being said, there are some changes you can make to your overall health and lifestyle routines that can also help you to lose belly fat (or just make it look like you’ve lost it!). Cortisol is the hormone that your body releases when it’s experiencing stress. New studies have found that if you have too much cortisol in your body for too long, it can result in an increased amount of visceral belly fat. To keep your cortisol levels in the healthy range, do what you can to eliminate stress in your life. When you are experiencing stress, use strategies like a warm bath, deep breathing, yoga or meditation to get your mind, body and belly back to normal. Natural health practitioners know that there is a direct link between hormonal imbalances and belly fat. Excess insulin can lead to increased belly fat, as can too much estrogen in the body. Too little of a hormone known as DHEA can also have the same effect. The next time you’re getting a blood test, ask your doctor to check your insulin, estrogen and DHEA levels; if anything is out of balance they can also help you get your levels back on track. Sleep scientists have discovered a scary link between a lack of sleep and belly fat. 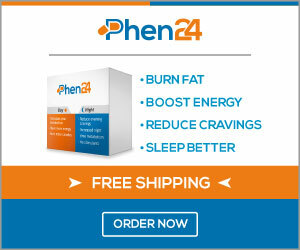 Participants in one study who didn’t get enough sleep stopped producing enough leptin (a chemical that boosts energy and fights cravings) and started overproducing ghrelin (a different chemical that stimulates the appetite). Make sure you’re getting at least seven or eight hours of uninterrupted sleep every night if you want a flat stomach. There’s a sneaky culprit that could be making your belly look fatter than it really is. Anterior pelvic shift is a common condition where your natural standing position results in your hips rotating forward, causing your back to curve and your stomach to stick out. By simply getting in the habit of rotating your hips backwards, so that your back is straight and flat, you can instantly make your belly look smaller than ever before. Poorly cut or ill-fitting clothing can emphasize a protruding stomach. If you’ve gained weight, purchase a new pair of pants that skims over your stomach (donate them to charity once you’ve lost the unwanted weight). If you wear dresses, opt for empire waists that emphasize the narrowest part of your body. No matter what you’re wearing, dark colors and vertical lines are always more slimming than light colors and horizontal lines. Close your eyes and imagine the way you’d like to look three months from now. Do you want to be slouched over with a “muffin top” or “beer belly” peeking out of your too-tight pants, or do you want to be standing confidently in slim, comfortable clothes that glide over your flat stomach? The choices that you make today will shape your shape three months from now. You can choose continue on your current path and watch your abdominal area continue to grow. Or, you can choose to make healthy food and drink choices, move your body every day, adopt good-for-you lifestyle habits and watch your belly fat disappear. It’s time to start losing belly fat fast, today.